Friday Faceoff: Is the Gap Between the Haves & Have-Nots Wider Than Ever Before? Home / Cup Series / Friday Faceoff: Is the Gap Between the Haves & Have-Nots Wider Than Ever Before? Welcome to Friday Faceoff, our weekly NASCAR roundtable where the Frontstretch experts give their take on major storylines surrounding the sport. Here’s a few major questions we’re trying to answer heading into Dover this weekend. 1) 12 races in, we have nine different winners: three from Joe Gibbs Racing and two apiece from Hendrick Motorsports, Team Penske and Stewart-Haas Racing. Does that equal parity in NASCAR with all three manufacturers represented, or is the gap between the haves and have-nots wider than ever? Matt McLaughlin, Senior Writer: Are we talking parity or parody here? Hendrick power and chassis have won seven of 12 races. It’s not a gap between the haves and have-nots, it’s a gap between HMS, its satellites and everybody else. Tom Bowles, Editor-In-Chief: What bothers me is the Chase as it’s shaping up to be is a three-way battle between Team Penske cars, Stewart-Haas, Joe Gibbs Racing and Hendrick Motorsports. It’s not inconceivable for 13 of the 16 cars to be from that group (minus Danica Patrick; yes, I think it’s possible Tony Stewart can win a race). While Martin Truex, Jr. would make a nice underdog story, the outsider trying to crash the party that’s a whole lot of top-heavy storylines; the less owners you have with a realistic shot in the Chase, the less competition you’re going to have overall. When half the field can’t hope to crack the top 20 outside of Daytona and Talladega, we have a problem. Vito Pugliese, Senior Writer: Chevrolet has a clear advantage. One of those Penske wins was all but Kurt Busch‘s had NASCAR not thrown a caution before he took the white flag. Also, if not for degenerating into a fuel mileage race, Truex had Charlotte locked up. You need to look a little deeper at the stats and the events each weekend, who’s leading and who’s able to actually pass cars on the track. Hendrick Motorsports and its unofficial/official teammates at SHR (Kevin Harvick/Busch) are far superior to virtually every other team; the Penske duo is able to mix it up with them only on restarts. Considering it was HMS that helped test the engine package for this season, it should be no surprise it seemingly has the field covered week-to-week. Mark Howell, Senior Writer: My fear is that manufacturer parity is being misidentified as balanced competition amongst Cup teams. 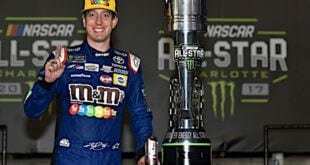 Even though all three makes have visited Victory Lane with financially privileged teams, the winning cars thus far have come from a very shallow pool. Jeff Gordon and Kasey Kahne haven’t won yet, and neither has Tony Stewart nor Danica Patrick. But that doesn’t mean deep pockets won’t help their chances eventually. For true parity, we’d need to see lesser-funded teams actually winning races during the late summer – the time when budgets get tight for smaller (but no less deserving) operations. Clayton Caldwell, Contributor: You can argue if there’s parity simply based on the fact that a lot of people (myself included) consider Stewart-Haas and Hendrick as virtually the same team. When you put that together and look at the Ford camp with Team Penske, they’re behind. 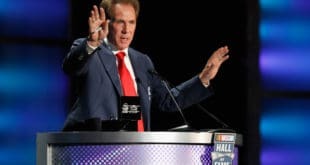 Sure, Joey Logano won the Daytona 500 and Brad Keselowski won at Fontana, but if you ask Keselowski, he’ll tell you he “stole” that race from Kurt Busch and the No. 41 team. Logano, for his part, won at a plate track, which is a lot more of a level playing field. Other than those two races, blips on the radar screen Team Penske and the Ford camp haven’t really shown the speed they need to compete for the championship. The same deal goes for Joe Gibbs Racing. It’s run well on the short tracks this year but it makes up such a small percentage of our schedule in 2015 it’s hard to argue that the team has been on the same level as Hendrick/Stewart-Haas as well. Lately, there is some talk that Toyota has ramped up the horsepower, which could’ve propelled Edwards’ victory at Charlotte. Still have a long way to go, though…. 2) The Monster Mile has hardly been a monster in recent years, producing a series of tame races with little ability for cars to run side by side. Does the track need two solid races this season to keep both slots on the schedule for 2016? Do you feel the track deserves two dates? Bowles: Dover, whose crowds have made the track look empty in recent years, is slowly edging toward a cliff of no return. Once-vibrant racing has been reduced to a ton of single-file competition, passing a near-impossible concept. A track once known for chewing up racecars now needs to point to chewing gum on the track, bogus debris cautions needed just to keep the fans awake in the stands. I love the layout, I love the area, but I worry that with its independent label Dover’s days are numbered unless we see some sort of turnaround in the competition. When the non-NASCAR events at the place like the upcoming music festival are advertised more than the racing, you know something’s up. Howell: The verdict on Dover’s dates, in my opinion, needs to wait until we see how the new package fits the facility. Cars spend a ton of time in the corners, where speeds are quicker now, and less time on straightaways, where speeds have been reduced, which should result in closer racing. 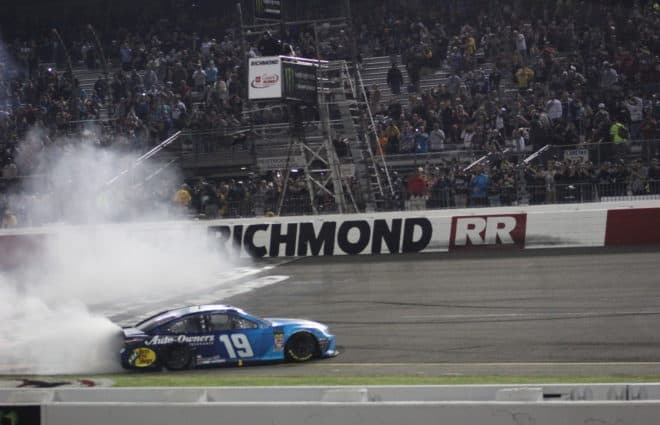 I’m thinking that the infamous 2015 aero push won’t be much of an issue at “The Monster Mile,” so it’s quite possible we’ll see better competition there. One can only hope. Phil Allaway, Senior Editor: Yes, it does deserve two races. However, the tire is probably part of the reason why the races are tame, as is the surface. For the most part, races at Dover have been relatively tame since the place was concreted. That was 20 years ago. Crazy, isn’t it? McLaughlin: It’s be just like NASCAR to take a date from one of the few remaining tracks not owned by ISC or SMI. The problem isn’t the track, it’s the cars. Dover isn’t a booming metropolis but it is convenient to the major Philadelphia/Baltimore/Washington, D.C., markets so it ought to keep both dates. Pugliese: Yes, but only so Las Vegas doesn’t get a second date it doesn’t need. There’s a lot of tracks that could stand to lose a date, particularly those that either don’t deliver action or fans. Unfortunately, Dover is starting to fill both of those requirements. This weekend should be an interesting one, as it is a very fast track for how short and narrow it is. 3) Jimmie Johnson and Justin Allgaier were warned twice by NASCAR in consecutive weeks. Their penalty? They don’t get to pick their pit stall this weekend, until Johnson and company decided to appeal. Was that punishment fair, not strict enough or too much? Caldwell: With how NASCAR’s acted over the years I think Allgaier and Johnson’s penalties are more stiff than Jamie McMurray‘s team, who also received a penalty at Charlotte. McMurray’s crew chief Matt McCall was placed on probation through Dec. 31 after receiving a P2 penalty for modifying the quarterpanel before qualifying. As we’ve seen in the past, probation doesn’t mean much in NASCAR; in fact, I remember one time a crew chief got a penalty while he was on probation and the result was he got his probation extended. No fine, points or anything – just extended probation. So really, a P1 infraction is more damning than a P2 penalty if you judge by NASCAR’s history. Allaway: Perfectly fair. I don’t have a clue why the deuce Hendrick Motorsports is appealing the penalty. Must feel like being a battleaxe this week. Howell: After ignoring two written warnings in two consecutive weeks, I think the penalties from Charlotte need to carry more bite. If NASCAR told each team, for example, that they’d have to start the race one lap down, then the violations would have sharper teeth. McLaughlin: Johnson is locked in the Chase with three wins. 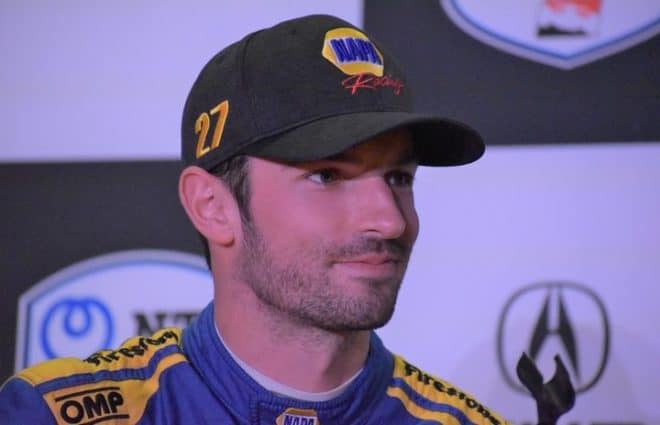 NASCAR can hit him with all the penalties they want but unless they hit the team with a 200-point penalty to knock him out of the top 30, he’s golden. Monetary fines? Pocket change to HMS. Suspensions? A weekend off. It’s a classic case of the law of unintended consequences. The team can cheat all they want to see what it can get away with prior to the Chase. As for Allgaier, well, was he likely to even qualify? Pugliese: I don’t have an issue with the penalty in regards to the infraction. What I do have an issue with is that the one team and driver who have dominated the sport for the last 10 years are consistently being cited for rules violations and infractions. However, little in the way of punishment has seemed to have any effect on Johnson and the No. 48 team. Whether it’s something blatant, like the adjustable rear window installed at Daytona in 2006 that was even visible on television, to something as innocuous as having to go through inspection a few times, it starts to raise questions regarding the legitimacy of what is being allowed on the track. If something is consistently wrong, having to go through multiple times, what aren’t the inspectors catching? 4) Ty Dillon will do another full-time XFINITY Series season in 2016 before working his way up to Cup. That’ll be his third, one more than his brother Austin and rival Chase Elliott. Is that spending too much time in the minors or just right? 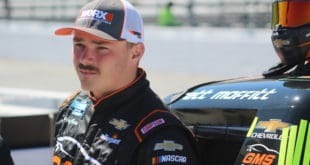 Caldwell: I have to wonder if Austin Dillon’s struggles in the Cup Serie led to his brother getting another full year in the XFINITY Series. 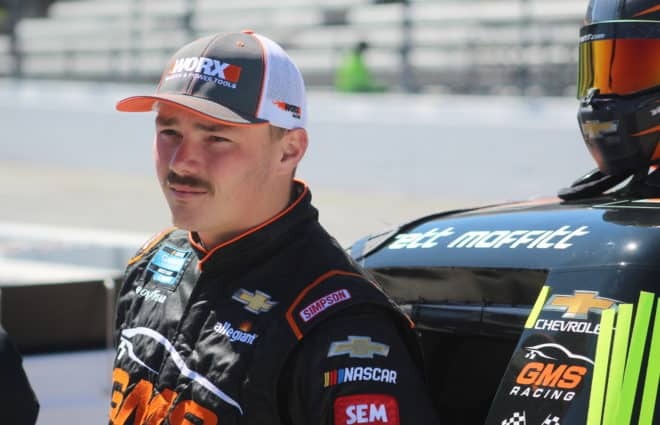 When the Dillons came on the scene Richard Childress said the boys would be on the two-two-Cup plan: two years in Trucks, two years in XFINITY and then they would move to the Cup Series. However, Austin Dillon’s first year in Cup in 2014 produced a lackluster 20th in points with just four top-10 finishes. Through 12 races this season, Dillon sits 23rd in the standings and has just one top-10 finish. Maybe Richard is second guessing a little bit on whether he brought up Austin too fast and doesn’t want to make the same mistake with his brother. McLaughlin: Dale Earnhardt, Jr., Gordon and Matt Kenseth spent two full years in the Busch Series. Austin Dillon won a truck title in 2011 and a AAA title in 2013 and he’s not exactly lighting up the track this year in Cup. Ty hasn’t won a title in either feeder series though he’s come close in both. Give the kid another year to mature in 2016. For cripes sake, he’s only 23. Earnhardt the Original was 28 when he first started running Cup full-time. Allaway: It’s forced. There’s no room at RCR right now for Ty Dillon to go full-time unless they farmed Ty out to Circle Sport for the entire season. That might not help as much as you’d think; he could learn some bad habits there. I don’t think it’s too much time. Others have spent longer in the XFINITY Series than two years. It’s not the end-all. Bowles: What this move tells me is RCR doesn’t have the sponsorship money. The plan was always for Ty to move up to Cup full-time by 2016; he’s second in the series standings, has a race win from 2014 (Indianapolis) and has generally gotten more competitive each week. I will say if I’m Ryan Newman, this move makes me a little nervous because should the money keep falling short, well, guess whose contract is up at the end of next season? Since Paul Menard brings family money, someone’s got to be the odd man out. 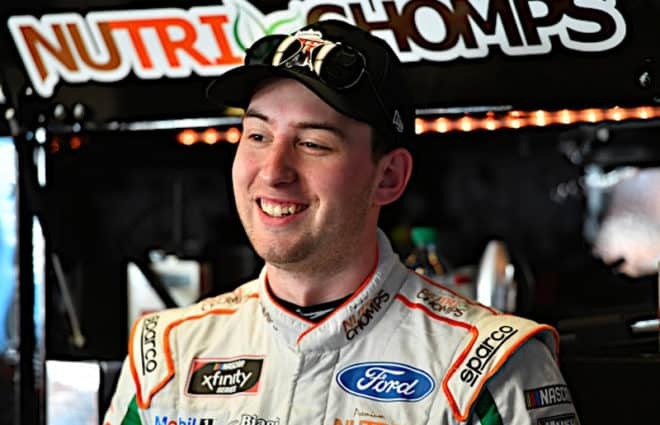 Howell: I think Ty will benefit in the long run from his extra time in an XFINITY car. That seems to be a more competitive series than Cup right now, so additional races in those cars will only help him gain experience and confidence. It’s not like Ty won’t be getting to race against Cup drivers most every week. The Frontstretch Staff is made up of a group of talented men and women spread out all over the United States and Canada. Residing in 15 states throughout the country, plus Ontario, and widely ranging in age, the staff showcases a wide variety of diverse opinions that will keep you coming back for more week in and week out. I think it’s pretty obvious why the 48 appealed. They have a higher chance of winning the pole at Dover then probably any of the next 5 tracks after that. Pit stalls are also more important at Dover than any of the tracks at the next five races. So basically they’ve worked it out so that the sting of the penalty will be minimized. Bill B-you hit the nail on the head. That’s exactly what Mike Bagley said this morning on TMD show. This pit road is very difficult and the next ones are broad & sweeping. Ding, ding, ding! And of course, heaven forbid they have wording in the rules that prevents taking advantage of the appeal process. They’ll appeal, lose, and take the penalty at a place like Michigan where you can park a trailer in the pit stalls. It’s a Hendrick world and the rest of us are just living in it. Though not nearly as many as before, and a large chunk on a part-time basis. That’s true on both the competition side and the penalty side of things. As to the title of the article, the gap is indeed wider. A generation ago, an exceptionally-talented driver in subpar equipment could give the super-teams fits. Today, that same driver would count himself lucky to qualify. I don’t think any track should have two dates, save for maybe Daytona and Charlotte. It isn’t Dover’s fault. The racing is just the same now, almost everywhere. Vegas is Richmond is Bristol is Dover. Aero first, ask questions later, get off pit road first and don’t make contact. 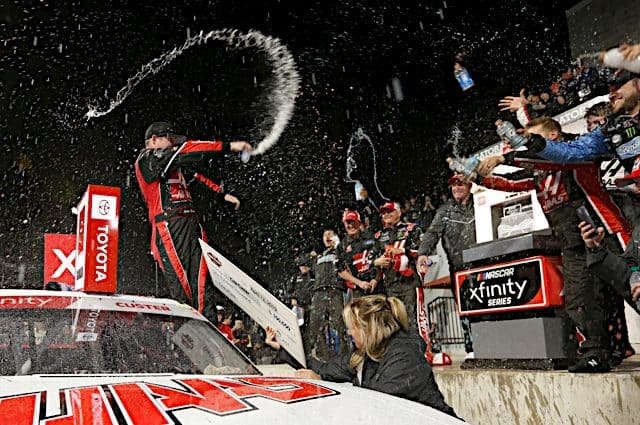 The Dillon brothers are good, but RCR’s Xfinity program is much stronger than its Cup program. I may be in the minority on this, but I love Dover. The size and shape are conducive to good racing and there really is not a bad seat in the place. I have seen some great races there. Dover’s recent attendance problems, like those everywhere else, are more the result of the yearly decline in what NASCAR considers race cars. Tony Stewart is right the cars are terrible. Aero is killing the fan experience. There’s not a bad seat in the house especially now they’ve removed 35,000 of them. In some instances the seats weren’t eliminated, they were jiust renumbered so that you get more space to sit for your ticket. Admittedly you had to be pretty skinny to fit in the old seats comfortably. I wish more tracks would do this. Dover also added six feet to the height of their catchfence over the winter. Don’t know if they’re still doing it with all the construction but I went to a driving school at Dover a couple times. You get to run a real Cup car (retired) around the track. What a blast. You get a new appreciation for how rough the track is. The expansion joints between the concrete slabs nail you so hard it’d like to knock the fillings out of your molars. 35,000 seats, yipes I didn’t know that. Percentage wise that seems way worse than the 41,000 Charlotte removed. I know the crowds there for the truck and XfiniCup Practice events are worse than dismal. Is Dover in trouble? Well Mr. Pugeliese has stated what the rub of many fans have had all along. A Team Penske crew member was seen pulling a “skirt”, wow..probation for the rest of the year for the crew chief. Now HMS gets caught multiple times for infractions (one of which a skirt issue) and they get a begging and pleading warning from BZF to stop, come on!!!!!! That is what the problem has been all along with the 48 team, despite the apologists making it out to be a “hate thing” for the majority of fans with eyes and brains. And that’s why the cheers when the 48 crashes out are louder than the piped in crowd noise that Fox uses whenever Dale Jr. takes the lead at Talladega or Daytona.